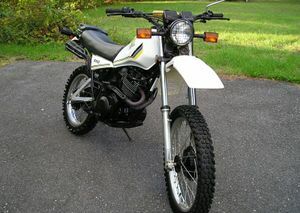 The Yamaha XT550 is a motorcycle produced by Yamaha from 1982 to 1983. 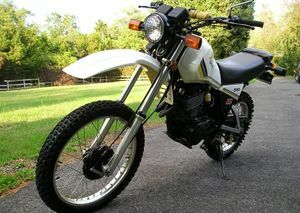 The Yamaha XT550 was an enduro / dualsport type motorcycle made from 1983-1984. It replaced the Yamaha XT500 and was itself quickly replaced by the Yamaha XT600. 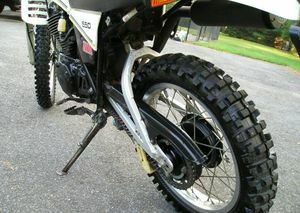 The Yamaha XT550 is better at low revs with two choke carburetor, four valve head and engine balancer, but has a weak clutch. 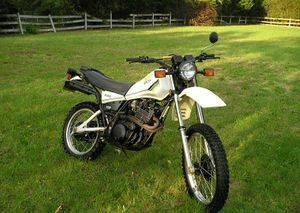 Ironically, the better XT550's very rare considering the fact that they were only produced for 2 years and that the four valve head goes eventually. This page was last edited on 28 November 2010, at 22:50.